Yikes! It seems like last week got away from me. Between prepping for a photo shoot at my studio in a few weeks, to building a new website, I somehow lost track of the days and missed a Font Friday. Man, I'm sorry about that! May I make it up to you today? Yes? Well, thank you. Let me introduce you to my friend, Melanie. She's sweet and sassy and everything I like. 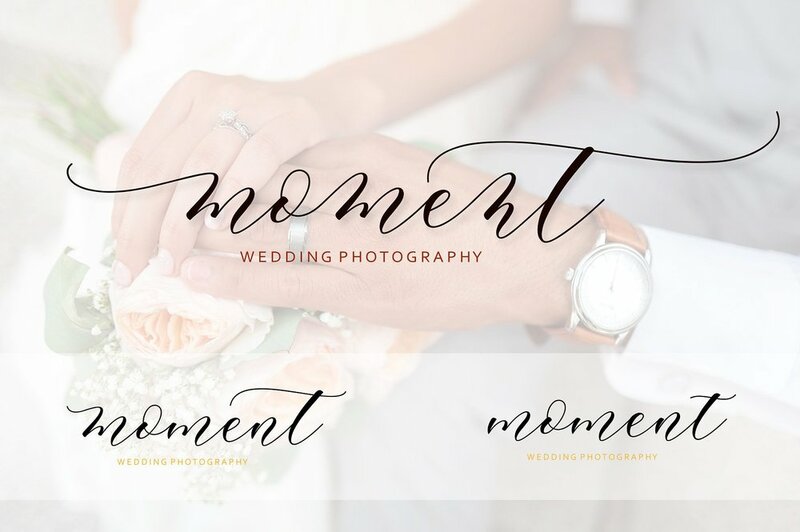 Loose, modern calligraphy fonts are having a moment right now, and Melanie is in the thick of it all. I particularly love the swashes that Melanie comes with, they help take a modern style and make it feel appropriate for formal wedding invitations. The swashes set Melanie apart in a sea of modern calligraphy fonts - they all have the beautiful long intro and ending swashes for the first and last letter, but not many of them have the beautifully flourished options for mid-word letters. Melanie does, and they're stunning.